The 25th national event is set to take place at the George Thabe sports ground in Sharpeville. 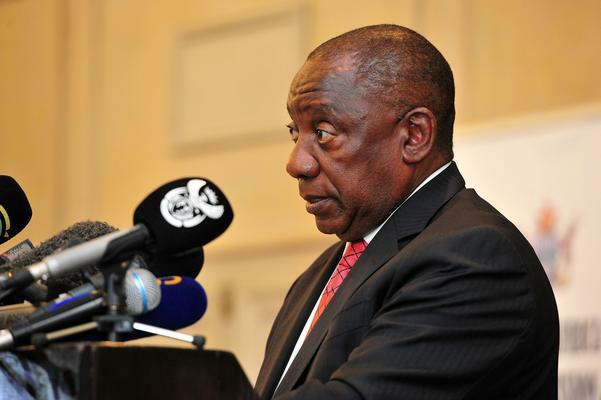 South African President Cyril Ramaphosa is expected to deliver a keynote address at the commemoration of Human Rights Day in Vereeniging, Gauteng, on Thursday. According to a statement from the presidency, Human Rights Day has its origins in the events that unfolded at Sharpeville and at Langa in the Western Cape on March 21, 1960, when apartheid security forces cracked down on peaceful marches that opposed pass laws that had been imposed on black South Africans. On that day, an anti-pass march at the Sharpeville police station came to a brutal end with the mass killing. A total of 69 people were killed and more than 100 others wounded. Later that day, in Langa, police baton-charged and fired teargas at the gathered protesters, shooting dead three people and injuring several others. The Sharpeville Massacre, as the event has become known, signalled the start of the armed resistance in South Africa and prompted worldwide condemnation of South Africa’s apartheid policies. Since the advent of democratic governance in South Africa 25 years ago, Human Rights Month has been leveraged as a vehicle to foster social cohesion, nation-building, national identity, socio-economic development and to combat racism, racial discrimination, xenophobia, and all related intolerances, said the presidency. The objective of Human Rights Day 2019 is to amplify efforts to preserve, promote, and revitalise endangered languages, to affirm that South Africa is committed to human rights for all, and to emphasise that the Bill of Rights promotes linguistic diversity and encourages respect for all language rights.